GlobalSelect provides outstanding services and amenities to Sugar Land Regional Airport’s flying passengers. 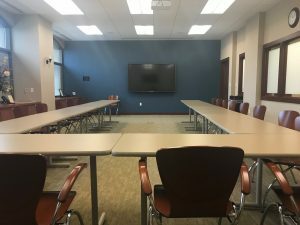 We provide conference rooms for your convenience, along with an executive lounge, business center, and top-notch gift shop. Wifi is also available throughout the terminal and aircraft ramp. 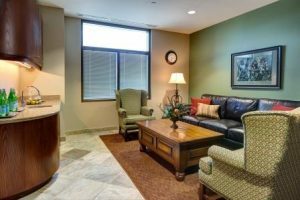 A business executive can have a private place to work that includes a desk, TV, sitting area, and complimentary refreshments. 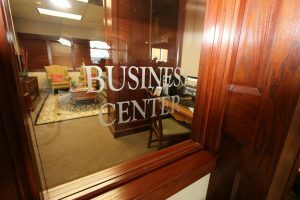 Available to all fly in customers, the Business Center is a great place to get your work done. 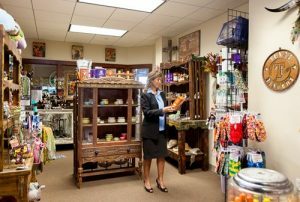 Treasure Hunters Too is the gift shop located in Sugar Land Regional Airport’s terminal. The original Treasure Hunters Gallery is in the old town of Richmond, Texas, and is an eclectic boutique that offers unique one-of-a-kind or handmade items. Now Treasure Hunters Gallery has successfully brought the same ambience to Sugar Land Regional Airport.